Mariner Books, 1959 (1977). 224 pages. 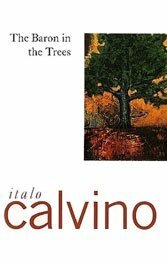 Italian fabulist Calvino was determined to create characters who gazed upon earthly life as if residents of another planet, gazing from a metaphysical “above” at a fantastically-oriented “below,” the distance between the two sides generating insight. This novel, part of an early trilogy, loyally supports above-and-below premise by seeing a young 18th-century nobleman scamper into an oak on his family’s Ligurian estate (to escape his culinary sister’s rat paté and porcupine delights) and refusing to come down. Ever. Instead, the stubborn Baron Cosimo Piovasco di Rondò pledges a lifetime allegiance to his arboreal domain — as well as to philosophy, literature, love — and flanked by his (mostly) loyal dachshund Emilio Battista dons a cat’s-fur cap and embarks on a lifetime of odd adventures. Though skeptics see him as a “human derelict jumping about the branches like a werewolf” or a “talking bird,” the Genovese Davy Crockett sees freedom in terms of remaining unencumbered by the fickle membrane that is the surface of things. Ironically, “Baron” may be among Calvino’s most grounded works, a life-and-times story with a beginning, middle and end, kin to Swift’s “Robinson Crusoe,” its only notable defect the extent to which Cosimo’s world-weariness begins weighing on the prose. A defect unconnected to Calvino is Archibald Colquhoun’s uncomfortable translation. 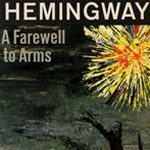 Colquhoun, who translated Calvino’s early works before deft successor William Weaver took control, is uneasy with the writer’s whimsy, giving the English a stilted feel.